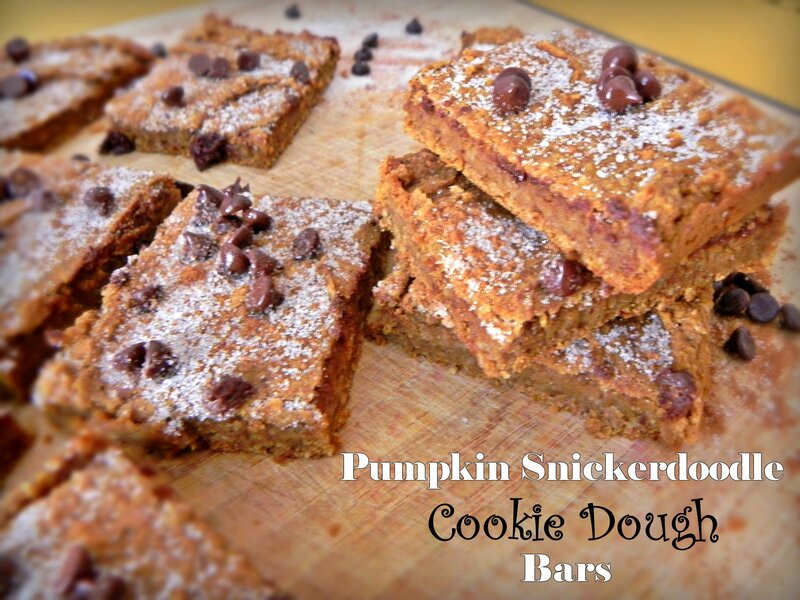 These bars are meant to be a treat and are the perfect dessert to round out your meal. Since they have a moderate amount of carbohydrates, enjoy them after a dinner that is high in protein a moderate in fat. Combine ground flaxseed with water and set aside for 5 minutes. (If using egg, beat in a bowl and set aside). In a separate small bowl, combine the 2 tsp sugar and 1/2 tsp of cinnamon for topping and set aside. Place all ingredients (chickpeas – pumpkin pie spice) in a food processor. Add flax egg (or real egg if using). Blend until completely smooth. Pour batter in a greased 8×8 pan and bake for 25 minutes. The bars will look slightly underdone. Allow to cool in pan for 5 minutes. Top with cinnamon-sugar topping and mini chocolate chips if using.